AN INCREASE in council tax which will help boost officer numbers in Sussex Police has been supported by a scrutiny panel. 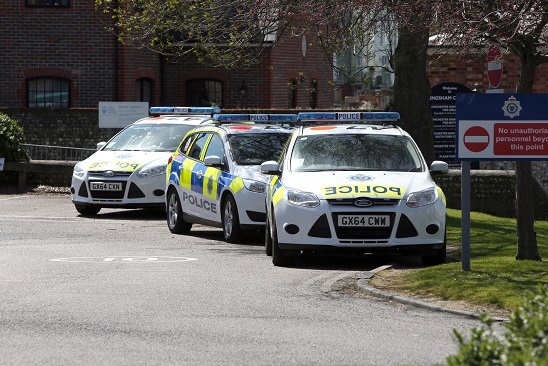 The Sussex Police and Crime Panel was asked to give its views on the force’s budget for 2019/20, priorities and an increase in precept of £24 a year for the average household. Presenting the budget, Sussex Police and Crime Commissioner Katy Bourne said the precept increase would help Sussex Police further increase the number of police community support officers, police officers and specialist staff. At the meeting on Friday, Mrs Bourne told the panel: “I know any decision to increase the amount we are asking people to pay is not an easy one to take, and not one that I take lightly. A working group set up to scrutinise the budget as it developed reported back to the panel suggesting that the maximum increase could be supported if the panel were satisfied that issues with the 101 service – the police’s non-emergency number – would be urgently addressed and there was more visible policing. Panel members asked for assurances the additional money would address the needs of communities in Sussex and deal with the issues most important to residents. Mrs Bourne spoke about focus groups she had run across Sussex to “get under the bonnet” and find out what the priorities of different groups would be. She said there were common themes to come out of these groups, including concerns about the lack of visible policing, the difficulty in reporting crime and frustration with using the 101 numbers and the lack of a local policing contact. She said additional investment would be made to enable the recruitment of 100 more police community support officers, 50 more police officers and 50 more specialist staff. This, she said, would help to prevent more deaths and serious injuries on Sussex roads, improve the service for both 101 and 999 calls, increase the number of community officers by 50 per cent, and enable the force to more effectively support vulnerable people and minority communities and identify and address hidden crime. But the commissioner warned the panel the impact of the increase would not be seen immediately and that recruitment and training would take some time. Public questions to the commissioner included concerns about the police’s response to speeding vehicles, and a report was presented by the commissioner on the work being done to deal with gangs and organised criminal networks exporting illegal drugs using dedicated mobile phone lines and exploiting children and vulnerable residents. The next meeting of the Sussex Police and Crime Panel takes place on Friday, April 26.